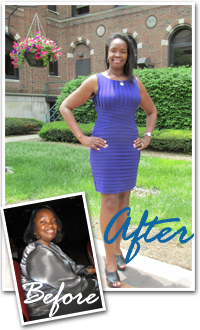 The Detroit Medical Center (DMC) and Medical Weight Loss Clinic (MWLC) – which earlier this year announced an exclusive partnership to offer patients, both surgical and non-surgical, a comprehensive spectrum of weight-loss services – today announced plans to host a unique, no-cost weight-loss and wellness community event. The program, entitled, “Your New Self – The Shape of Things to Come…,” will take place on Saturday, Sept. 27, 2014 from 10 a.m. to 1 p.m. at the DoubleTree Suites by Hilton Hotel – Detroit Downtown-Fort Shelby. Complimentary valet parking will be available at the hotel entrance at 525 W. Lafayette in Detroit. DMC surgeons perform weight-loss procedures – bariatric surgery – on men and women who are at least 100 pounds overweight, suffer from related health conditions and have unsuccessfully tried other weight-loss methods. DMC bariatric surgeons use many different surgical techniques to help morbidly obese patients lose weight, regain health and take control of their lives. “Your New Self – The Shape of Things to Come…"
DoubleTree Suites by Hilton Hotel – Detroit Downtown-Fort Shelby.